It is thought the lantern clock was named due to its similarity to a lantern, or derived from the word ‘latten’, which was a word used for brass around the 17th century, when these clocks were first introduced. Other names have been used, including Cromwellian clock, because the bell at the top suggested a Cromwellian helmet and the latter because of four turned columns at each corner of the frame. The lantern clock was developed in England with similar versions in other countries, and superseded the wrought iron wall clock. It can be rare to find an original lantern clock, with a balance wheel, as these were notoriously very inaccurate, having no natural frequency of oscillation. Over time the majority of lantern clocks were adapted to use a verge escapement and anchor escapement. 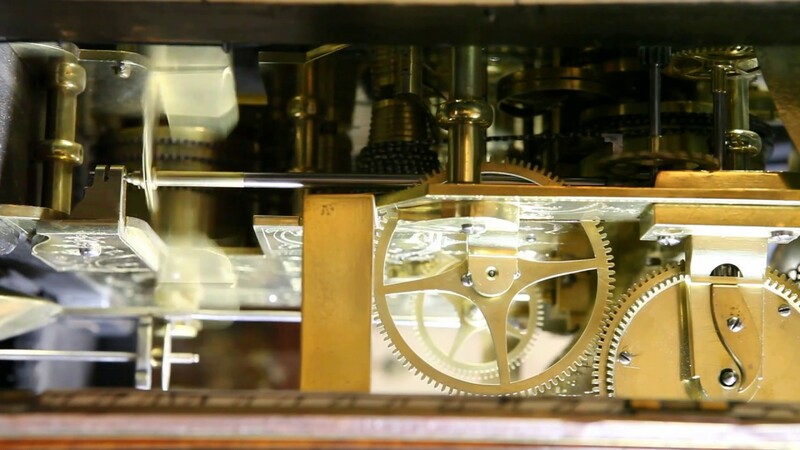 The verge escapements with short bob pendulums were being used for lantern clocks well into the 18th century, but when the anchor escapement with the ‘seconds pendulum’ came along, which produced a far more precise timepiece, as the frequency of oscillation is more predictable due to the force of gravity. This prompted many conversions and lantern clocks were then often arranged to stand on wooden wall brackets. They continued to be produced with only the hour hand, but sometimes there was also an alarm mechanism. They were designed to be hung from the wall. It is thought that the long case may have been derived from the lantern clock, with an added case to protect the pendulum and also for a more aesthetic presentation. If you would like to see all of our Lantern Clocks and more, visit our showroom.